Need bespoke cabling? No matter what your needs, from cables measuring a few centimetres up to 20 metres, built entirely to your specification including cable and marking and in whatever quantity – one off up to thousands, Flair can meet those needs. As a leading cable assembly manufacturer we have experience in all aspects of custom cable assemblies and cable looms including solder (leaded/lead free), IDC and crimp for all terminations and housings. We work to IPC 620 administered by our in house trainer. We know customers value flexibility so our cables can be built entirely to your specifcation, one off up to thousands. We can produce drawings/loom boards for you or we can work to your designs. 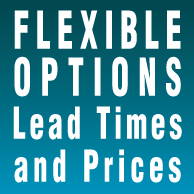 Give us a call to find out just how flexible we are! Wires are automatically cut to length and crimped with JST, AMP, FCI and MOLEX crimps on our crimp machines. RF and COAX cables can be made cost efficiently with our programmable coaxial cable preparation machine giving us particular RF cable capability. Standard spade, ring terminal and other crimps in various wire sizes. 100% testing with our CIRRIS tester for point to point and insulation strength.